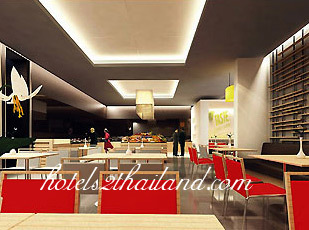 Ibis Bangkok Nana offers fresh, funky accommodation in the heart of Bangkok. 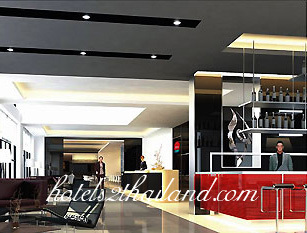 Walk to everything from this ultra central location on bustling Sukhumvit Road. Shopping malls, bars, restaurants, public transport, all just minutes away. 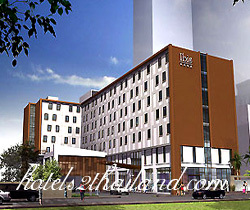 200 rooms, 24 hour service, snacks and drinks, a trendy Tapas restaurant. Friendly staff, great services, a colorful atmosphere - find it all at Ibis Bangkok Nana. Soak up the excitement of the city at this great-value Bangkok hotel. The service in Ibis Nana is good n fast, can apply a good response to customers. Although the place of hotel is a little bit inconvenience, but the shuttle bus fills the disadvantage. It is a good, efficient hotel totally. 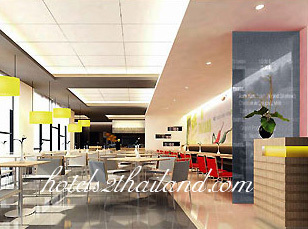 The starff is very helpful and friendly ,Clean room and good location near BTS and not far from Shopping area. Rooms are clean, functional. Decor resembles a dorm room. Staff was very helpful. Good location close to action but still quiet. Close to sky train but hotel provides ride to station. Free wifi in lobby but fee charged in room. The Ibis is not a luxury hotel but served our purpose well.